Changes are so minor that it is perfect for a game of 'spot 5 differences'. "You got the CLA again? Has it been facelifted? What is exactly different about it?". These were the questions bombarding me when I showed the new Mercedes CLA to my friend. "Do you want to get in or stand there and keep asking questions?" I asked. "Of course, it is a Mercedes-Benz after all!" he exclaimed. 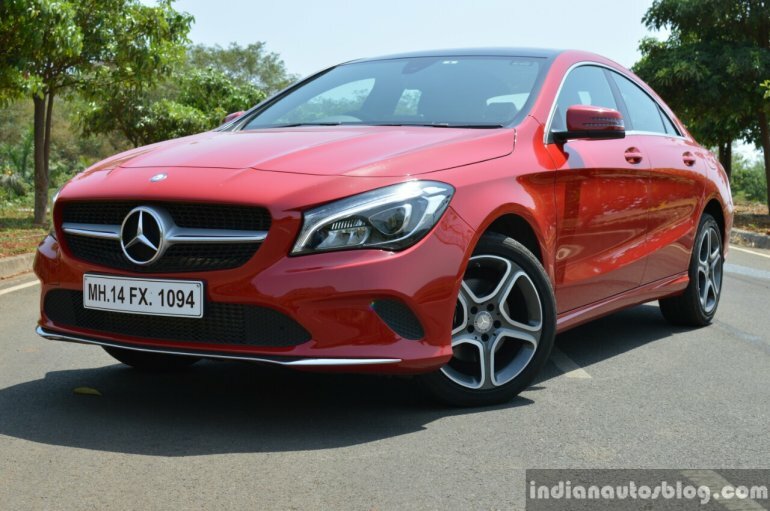 Since IAB last met the CLA over two years ago in Goa, Mercedes has inducted the compact 4-door coupe into local assembly at their factory in Chakan and has introduced a mid-cycle refresh late last year. 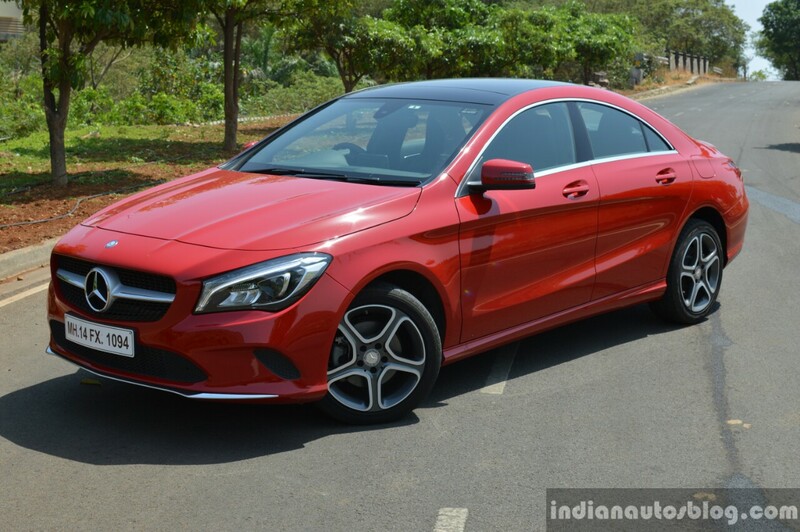 Every now and then, I do see a Mercedes CLA on the road, mostly a millennial behind the wheel, which is a good sign because we believe that it is the right product for a young, single prospective buyer to enter the brand and experience the perks of owning a Mercedes-Benz. With the facelift and an INR 31.9 Lakh price tag (test car priced at INR 34.2 Lakhs), is it any more desirable than the outgoing model? 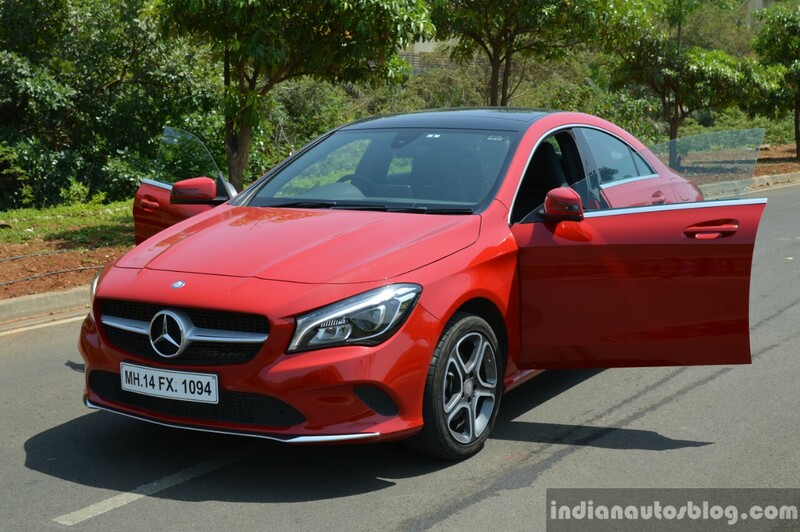 Here's our review of the 2017 Mercedes CLA. Coming back to my friend, he is not a keen-eyed Mercedes enthusiast, so I had to forgive him for not spotting the changes right away. They are so minor, it is perfect for a game of 'spot 5 differences'. In the CLA's case, it does not really matter because the exterior is as attractive as it was when I first saw the car in 2013. The CLA's sheet metal features as many creases as Gordon Ramsay's forehead, although, in the former's case, they collectively make it appear lean, young and athletic. 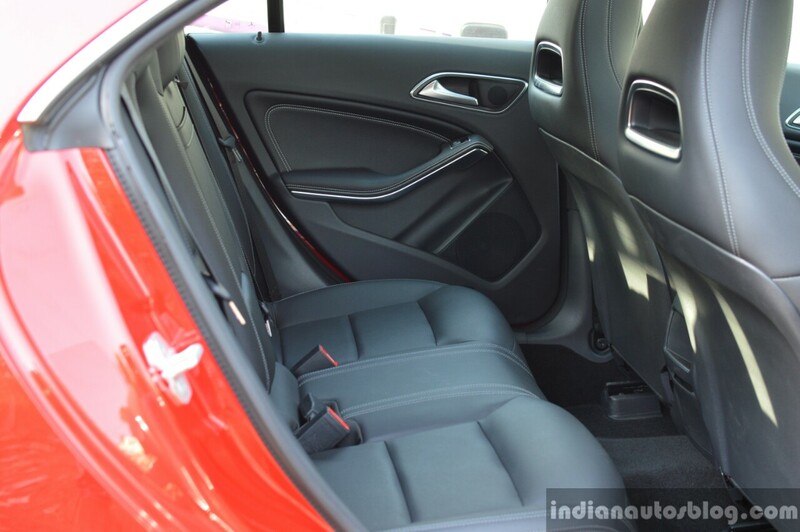 Along with the sloping roofline, the CLA also has pillarless doors. Pillarless doors? 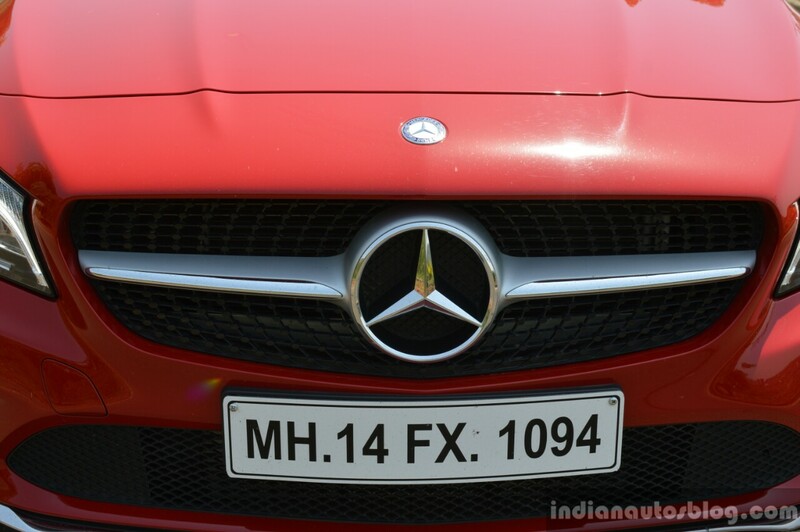 In a car that costs around INR 40 Lakhs OTR? There's just something so cool about a set of pillarless doors that makes me go gaga. So if it ain't broke, don't fix it, right? Well, Mercedes did find a few areas to facelift: the front bumper has been slightly restyled and incorporates a nice chrome detail, the headlamps are now LED-powered and have intricate detailing, and the posterior features revised LED taillamps as well as a new pair of exhaust tips. The game becomes harder when you step inside the facelifted car because the only visible changes are the colour of the instrument dials and silver-finished buttons arranged horizontally under a hodgepodge of buttons that belong in a Mercedes from two generations back. While the exterior design looks fresh and contemporary, the interior looks and feels a bit aged, especially if you have seen the interior designs of its bigger siblings. The quality of construction inside is top notch, but the touch quality of materials used in some areas leave something to be desired. Also, the space available for rear occupants is not as much as that of its closest rival, the Audi A3, despite being 62 mm longer. Not to mention, the sloping roofline and small windows make for a claustrophobic seating experience at the back, so you better be ready to shout "shotgun" for the front passenger seat before others do. Not only does the front portion of the cabin feel airy, thanks to the panoramic glass roof, but the seats are comfy, well-bolstered and offer a variety of power-operated adjustments. For those seeking a better rear seat experience, Mercedes will have an answer in 2018 when they bring the Mercedes A-Class sedan to the market. More about that later. 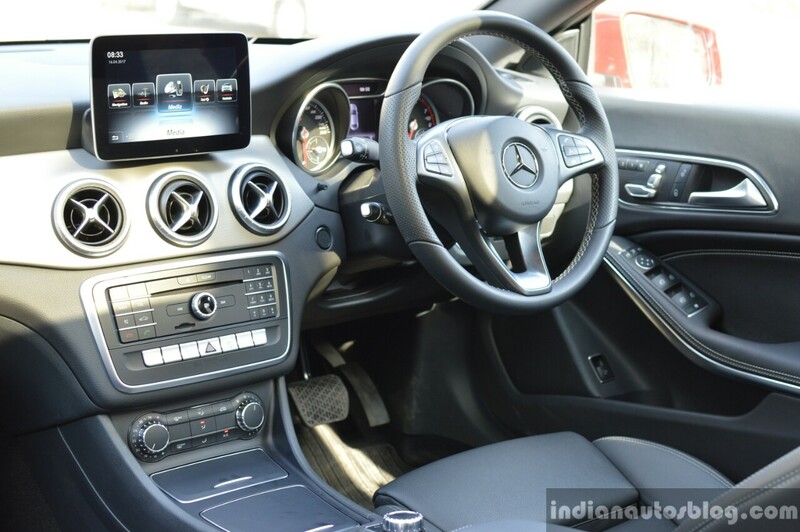 For a compact Mercedes product, the equipment onboard the CLA Sport is fairly good, although some odd omissions include automatic climate control, rear HVAC vents and rear parking sensors. The high-res iPad-esque display of the COMAND screen is crisp and clear, but the infotainment system lets you down with its laggy and slow interface. 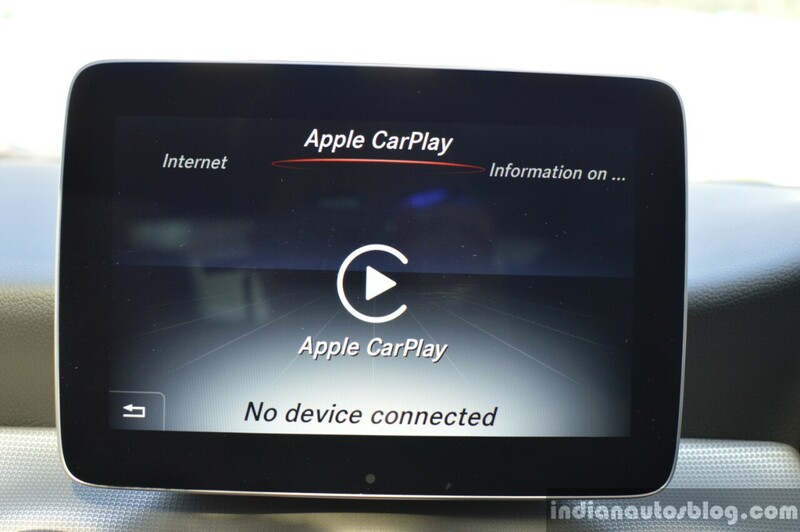 As part of the facelift, the CLA Sport gets Apple CarPlay and Android Auto connectivity, or at least that is what the brochure says because our test car did not have Android Auto onboard, despite connecting to the system with an Android Auto-capable smartphone. Our test car was packing the 2.0L turbocharged petrol engine paired with the 7G-DCT (dual clutch) gearbox, producing 183 hp and 300 Nm of peak torque. As with some of Merc's compact range of cars based on the MFA platform, power is sent to the front wheels. The new CLA has an improved Dynamic Select system with modes like Comfort, Sport, Individual and Eco, which tunes the engine, steering and gearbox response to suit the mode selected. In Comfort mode, the CLA is effortlessly tractable in urban conditions, with a good amount of torque in lower-end of the power band, while the gearbox offers butter smooth shifts, and is so eager to reach the highest ratio at speeds as low as 70 km/h, thus keeping fuel efficiency in good shape. However, when I wanted to make a quick overtake or cross the signal in time, the gearbox was not quick to react, which is a shame because the power onboard can make the CLA bolt. It becomes even lazier to shift when Dynamic Select is set to Eco mode, although it does help eek out more miles. Setting the Sport mode unleashes the turbo petrol's true potential; by sharpening the gearbox response and letting it hold onto gears for a longer period. It is capable of accelerating from 0 - 100 km/h in 7.8 seconds and hit a top speed of 235 km/h. 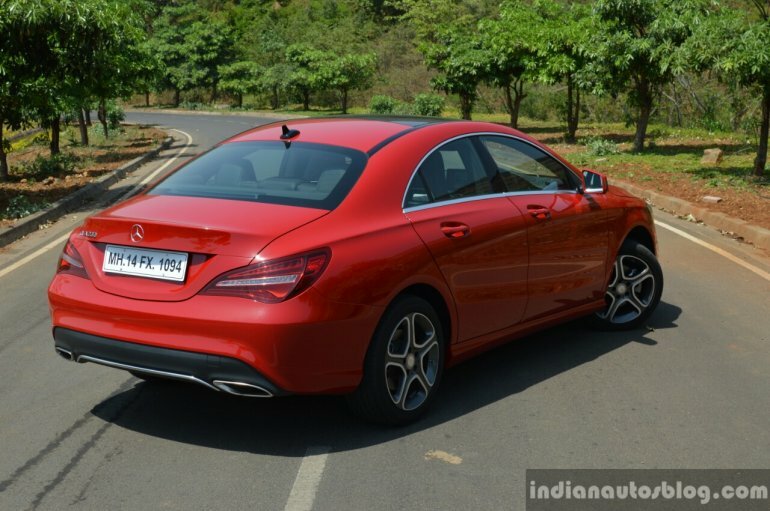 From behind the wheel, the CLA 200's eagerness to bolt can be felt, while emanating a decent 4-pot exhaust note. Compared to the A3, which has downgraded to a more eco-friendly 1.4 turbocharged petrol engine, the Mercedes CLA 200 feels more thrilling on a straight line. The ride quality is more or less identical to the outgoing car. It has the right balance of comfort and firmness so it can dampen most jerks with relative ease, as well as stay planted around corners and at triple-digit speeds. Thanks to the slippery body and relatively low coefficient of drag, the cabin is relatively quiet even at speeds of 160 km/h. Around twisty roads, the CLA 200's steering wheel was quick and accurate to respond, with a good amount of heft distributed while cornering and cruising at high speeds. 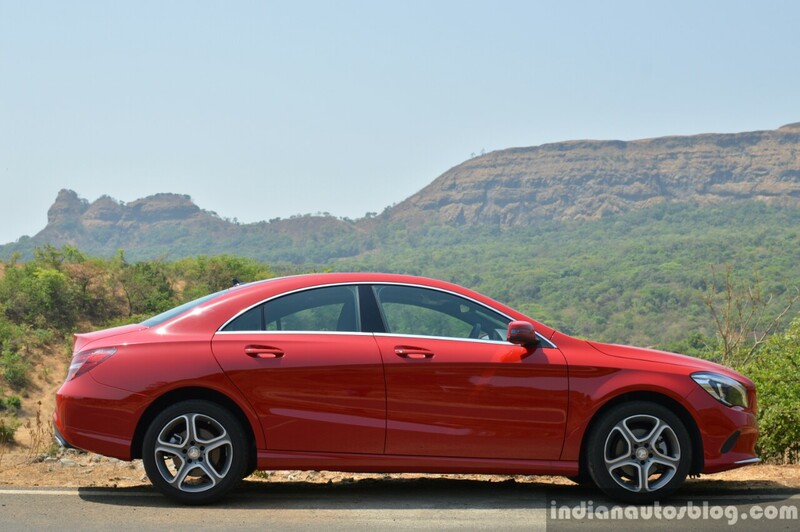 A Mercedes that's hot as well as affordable? Yes, it exists. The CLA is just so desirable simply because of the exterior design and that massive Mercedes logo it proudly brandishes. It also rides surprisingly well and is an enjoyable car to play with. Being the sole compact sedan offering from Mercedes-Benz, people would naturally compare the CLA with the Audi A3 which, with its more conventional 3-box styling, understated looks as well as neck-and-neck pricing, is more appealing to a broader audience than the former. However, if you are willing to sacrifice practicality and space for the extra style and Mercedes badge, we have no qualms with recommending the CLA.